Crystal Lake Central defeated Prairie Ridge in a girls dual meet Wednesday, September 19, 2012 at Turnberry Country Club in Lakewood. Mike Greene - mgreene@shawmedia.com Crystal Lake Central's Emily Jean chips onto the green on hole 3 during a dual meet against Prairie Ridge Wednesday, September 19, 2012 at Turnberry Country Club in Lakewood. Crystal Lake Central won the meet. Mike Greene - mgreene@shawmedia.com Prairie Ridge's Robin Manarik tees off on hole 4 during a dual meet against Crystal Lake Central Wednesday, September 19, 2012 at Turnberry Country Club in Lakewood. Crystal Lake Central won the meet. 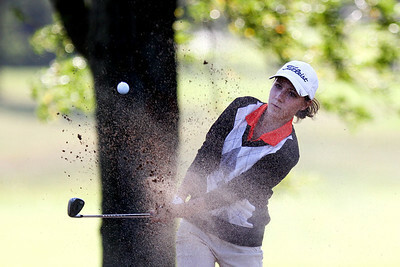 Mike Greene - mgreene@shawmedia.com Crystal Lake Central's Larisa Luloff hits out of a bunker on hole 4 during a dual meet against Prairie Ridge Wednesday, September 19, 2012 at Turnberry Country Club in Lakewood. Crystal Lake Central won the meet. Mike Greene - mgreene@shawmedia.com Prairie Ridge's Delainey Peterson reacts as her putt approaches the cup on hole 3 during a dual meet against Crystal Lake Central Wednesday, September 19, 2012 at Turnberry Country Club in Lakewood. Crystal Lake Central won the meet. Mike Greene - mgreene@shawmedia.com Prairie Ridge's Delainey Peterson (right) watches Crystal Lake Central's Larisa Luloff putt on hole 3 during a dual meet Wednesday, September 19, 2012 at Turnberry Country Club in Lakewood. Crystal Lake Central won the meet. Mike Greene - mgreene@shawmedia.com Prairie Ridge's Robin Manarik hits her second shot on hole 4 during a dual meet against Crystal Lake Central Wednesday, September 19, 2012 at Turnberry Country Club in Lakewood. Crystal Lake Central won the meet. 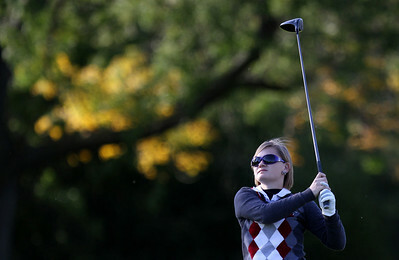 Mike Greene - mgreene@shawmedia.com Prairie Ridge's Michelle Nalepa tees off on hole 4 during a dual meet against Crystal Lake Central Wednesday, September 19, 2012 at Turnberry Country Club in Lakewood. Crystal Lake Central won the meet. 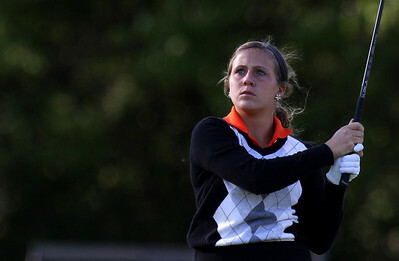 Mike Greene - mgreene@shawmedia.com Crystal Lake Central's Bailey Bostler prepares to tee off on hole 4 during a dual meet against Prairie Ridge Wednesday, September 19, 2012 at Turnberry Country Club in Lakewood. Crystal Lake Central won the meet. 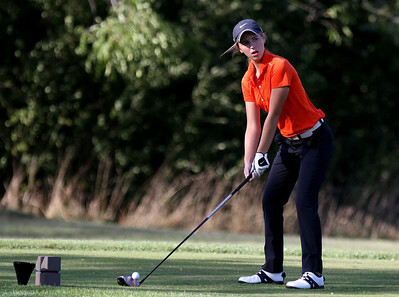 Mike Greene - mgreene@shawmedia.com Crystal Lake Central's Alex Siavelis watches her second shot fly on hole 4 during a dual meet against Prairie Ridge Wednesday, September 19, 2012 at Turnberry Country Club in Lakewood. Crystal Lake Central won the meet. 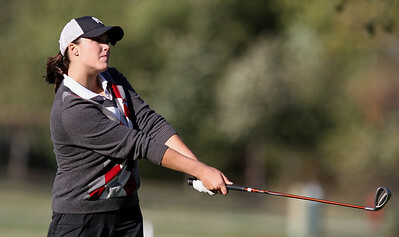 Mike Greene - mgreene@shawmedia.com Prairie Ridge's Danielle Roulo watches her approach shot on hole 4 during a dual meet against Crystal Lake Central Wednesday, September 19, 2012 at Turnberry Country Club in Lakewood. Crystal Lake Central won the meet. Mike Greene - mgreene@shawmedia.com Crystal Lake Central's Brianna DiGrazia watches her tee shot on hole 4 during a dual meet against Prairie Ridge Wednesday, September 19, 2012 at Turnberry Country Club in Lakewood. Crystal Lake Central won the meet. 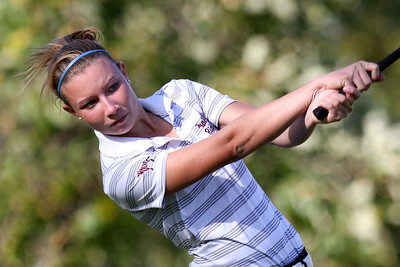 Mike Greene - mgreene@shawmedia.com Prairie Ridge's Brooke Johnson follows through after teeing off on hole 4 during a dual meet against Crystal Lake Central Wednesday, September 19, 2012 at Turnberry Country Club in Lakewood. Crystal Lake Central won the meet. Prairie Ridge's Delainey Peterson reacts as her putt approaches the cup on hole 3 during a dual meet against Crystal Lake Central Wednesday, September 19, 2012 at Turnberry Country Club in Lakewood. Crystal Lake Central won the meet.